...Bislama is one of the Micronesian languages from the archipelago that consists of many islands. It is an amazing dialect which has been formed as a conglomerate of several local and European languages (mainly French), as European merchants frequently visited these islands in the 19th century. 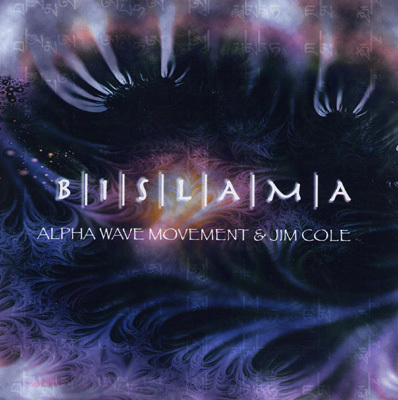 By combining two "musical languages" - the electronic ambience of Alpha Wave Movement and the overtone singing of Jim Cole, these musicians symbolically appointed this word to the style of their music. The compositions "Bislama," "Offering," "Satari," "Theidea," and "Samui" send us to a world of green tropical remote islands, to the shores of blue lagoons as well as to the enigmatic outer space - mystical, purple splashes pulsing from the depths of otherworldly canyons - that is the magic of Alpha Wave Movement's music supported by the deep vibrating throat roaring and high pitched whirr of Jim Cole's overtone singing.